Officers are on the lookout for anyone operating a vehicle under the influence, and routinely pull over more drivers than face arrest. Law enforcement officials are trained to look for those who are swerving, driving erratically, or showing signs of intoxication. This helps them gather the reasonable suspicion needed to perform a traffic stop and administer a portable Breathalyzer test. 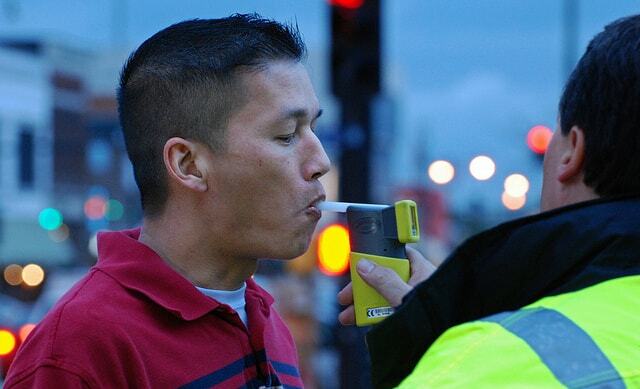 The portable test carried in patrol cars only monitors for the presence of alcohol in your breath, and does not provide a reliable enough reading to be accepted in court. A false positive breathalyzer test will still provide officers with enough evidence to charge you with a DUI and arrest you. The officer will take you to the station to process you for drunk driving or release you to a responsible party and still charge you with the offense. Those who are involved in a traffic stop and blow a false positive breathalyzer test are often faced with the embarrassment of arrest, court costs, and impound fees among others. Before you hit the roads, you should understand the types and cause a false positive on a Breathalyzer test that trigger. If you swish mouthwash before you leave the house, you may be setting yourself up for a false positive alcohol breath test. Glance at the ingredients next time you use mouthwash and you will learn that mixture has a pretty high alcohol content. Manufacturers are now creating mouthwash and fluoride rinses without alcohol, but you can never be too careful. When you have a high concentration of alcohol in your mouth before you take the test, you are more likely to blow a false positive breath alcohol test. The portable false positive breathalyzer test measures the amount of alcohol in your breath, which can be skewed if you have mouth alcohol in addition to any alcohol you exhale from your lungs. If you are stopped by an officer after recently swishing mouthwash, you should not agree to perform a Breathalyzer test. Contrary to what the officer may tell you, you cannot have your driver’s license suspended for refusing the portable Breathalyzer test at a traffic stop. A trained Madison County, OH DUI attorney can help to clarify exactly what tests drivers must comply with during a traffic stop. Similarly, any mints, gum, cough drops, or tobacco may seem like they would freshen your breath but they can cause a false positive. Some brands have a sugar substitute like sorbitol or menthol, which triggers a false response. Each situation is different, which is why contacting a DUI attorney is always your best option. Not only will a Madison County DUI lawyer know the law, the attorney will understand the very real possibility of false positives and how to defend them in court. One key factor is calibration. If the officer sets the machine incorrectly, he or she may arrest multiple people without trustworthy evidence. Remember that the portable Breathalyzer is a machine that needs regular maintenance and upkeep to maintain its effectiveness. Without routine calibration, officers could make arrests that cannot be backed up in court, often inconveniencing innocent citizens. A trained Madison County, Ohio DUI lawyer will understand the science behind the portable Breathalyzer test and know what types of calibration questions to ask. If you suspect you were arrested because of a poorly calibrated portable Breathalyzer test, contact a DUI lawyer to fight for your rights. Some medications interfere may cause of a false positive Breathalyzer test. Any medication that is applied inside the mouth may contain alcohol that could alter the accuracy of the test. If you use Anbesol to relieve the toothache or canker sore pain, you may blow a false positive on a portable Breathalyzer test. The machine will detect the medication rather than your blood alcohol and you could face the inconvenience of arrest and an impounded vehicle. Be very careful in the winter as many of the treatments for cold and flu symptoms contain alcohol that may cause a false positive Breathalyzer test. This is especially true for cold or flu remedies containing menthol. Be cautious when medicating yourself before your drive. When driving with a cold, you may appear impaired, so officers pulling you over may want to bolster their suspicion by administering a portable Breathalyzer test. Additionally, diabetics can blow a depending on their blood sugar level. Many diabetics have acetone levels higher than the average non-diabetic, which can cause a false positive when tested. This occurs when an older machine is used that cannot differentiate between alcohol consumed and ethyl alcohol. Every situation is different so be sure to provide your DUI attorney with as much information as possible so your lawyer can prepare a strong defense. No matter what can make you fail a breathalyzer besides alcohol, a false positive on a portable Breathalyzer test can cost you time and money. Understanding some of the ways that you can trigger a false positive breathalyzer test will help you know what to do when you are falsely accused of drinking and driving. Your next step is to hire a trusted Madison County, Ohio DUI attorney. With an attorney trained in DUI defense, you can rest well knowing you have a strong defense prepared to rebut any of the false positives that led to your arrest. The science behind a DUI trial can be complex, so put your trust in a DUI defense attorney who understands the intricate nature of DUI law. If you or someone you know has been accused of false positive on a breathalyzer test, contact The Maher Law Firm today. With years of experience, The Maher Law Firm can act as an effective advocate for your rights. Call 614-205-2208 today or contact us online to for your free consultation.